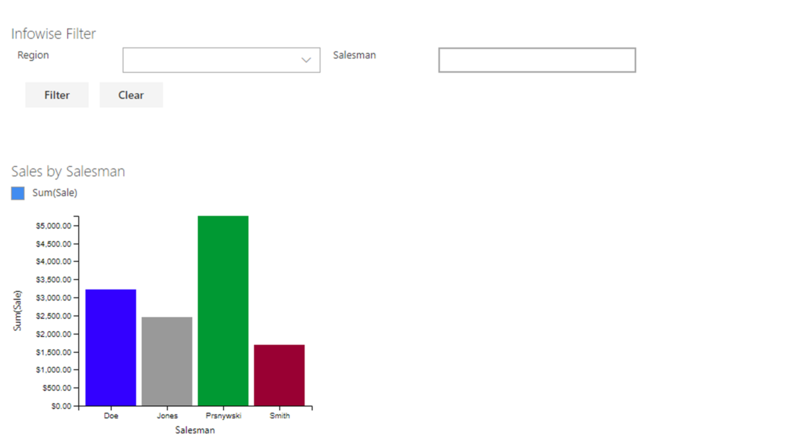 If you’re looking to provide some additional cool functionality to your users, how about giving the them ability to filter data in charts in real time, creating a slick interactive dashboard? 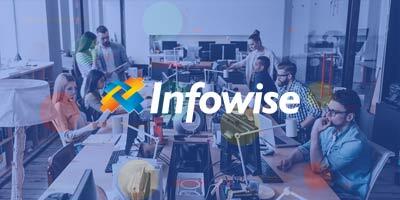 This is a relatively new feature in Infowise, but it’s got tons of potential. It allows your users to drill down into static chart information. This is a big boost to turning your site into a true Business Intelligence tool. 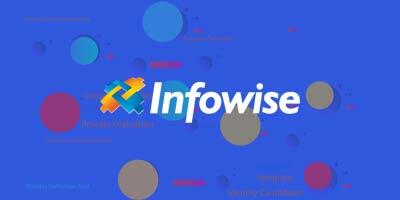 I’ve experimented with the O365 version, and there’s one important caveat I discovered – for filters to work, you MUST use the newer Infowise Chart web part, NOT the older Smart Chart app. I’m personally impressed with the feature, although I have only scratched the surface. 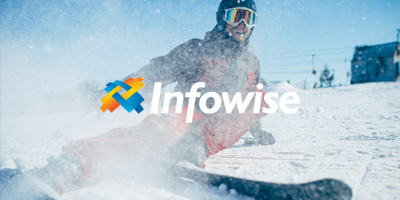 The basics are as easy as you’d expect with Infowise, but there are levels of control that have the potential for really powerful data modeling. An important part of this is the wide variety of filter types you can use. The online tutorial demonstrates using a Choice-type filter, which is very slick but also very straightforward. 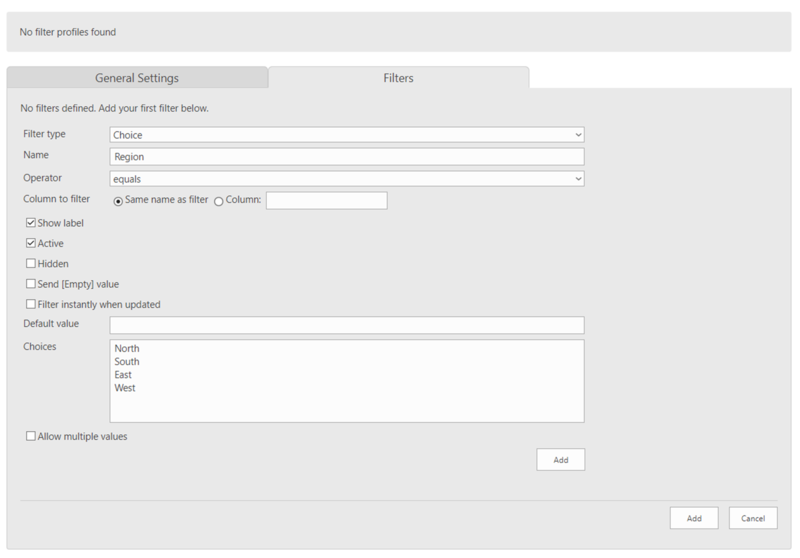 As is typical with Infowise, selecting different filter types will also give you different parameter settings. For choice, you actually add the choices in the filter definition, and they appear on the site page for the users. You also have control over the operator functions – you can set this for equals, not equals, or contains. And, you can add multiple filter definitions to the same chart, giving your users even more options about how they see their data. My recommendation? Play around with it a little, get comfortable, and then start providing new and exciting BI functionality on your sites!